Output: Alarm output through normally-open (NO) relay in FCA­‑500 base. An alarm resistance of 0 Ω or 680 Ω in series to the relay can be chosen. Reset Time The detector resets if power is interrupted for at least 2 sec. Photoelectric smoke detector (white) with CO sensor; requires base. FCP-500-C-P Cabezal det. empot. CO, transp. c/inser. Photoelectric smoke detector (transparent with color inserts) with CO sensor; requires base. Photoelectric smoke detector (white); requires base. FCP-500-P Cabezal det. empot., transp. c/inser. Photoelectric smoke detector (transparent with color inserts); requires base. Kit contains FCP‑500 detector head, back box, four‑wire base, and trim ring (white). Kit contains FCP‑500 detector head, back box, four‑wire base, and trim ring (transparent with color inserts). Kit contains FCP‑500 detector head, back box, FCA‑500‑E four‑wire EOL base, and trim ring (white). Kit contains FCP‑500 detector head, back box, FCA‑500‑E four‑wire EOL base, and trim ring (transparent with color inserts). Kit contains FCP‑500-C detector head with CO sensor, back box, four‑wire base, and trim ring (white). Kit contains FCP‑500-C detector head with CO sensor, back box, four‑wire base, and trim ring (transparent with color inserts). Kit contains FCP‑500-C detector head with CO sensor, back box, FCA‑500‑E four‑wire EOL base, and trim ring (white). FCP-500-CEPK Kit detector 4 cables, RFL, CO, ins col. Kit contains FCP‑500-C detector head with CO sensor, back box, FCA‑500‑E four‑wire EOL base, and trim ring (transparent with color inserts). 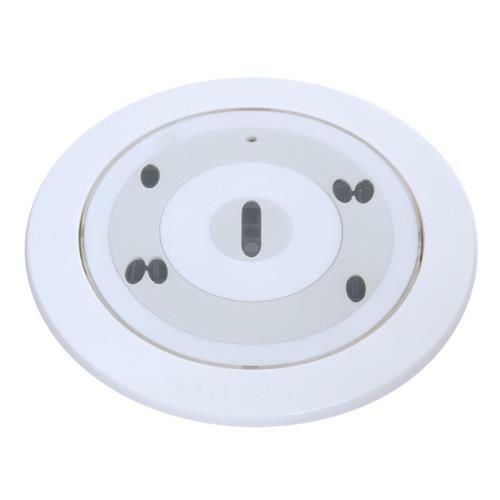 A UL Listed back box for flush-mounting FCP-500 detectors on drop ceilings. The FAA‑500‑TTL Test Adapter is placed on the SOLO330 Smoke Detector Tester. It serves to test detectors in the 500 and 520 Series.